Kim grew up in North Carolina and received a B.S. in Economics from University of North Carolina, Greensboro. She worked in the financial sector and married Brent in 1997 and soon after began their family. 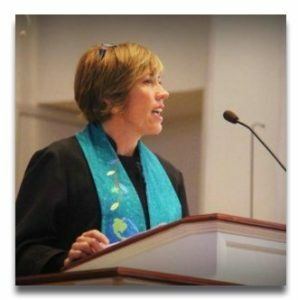 She holds a Masters of Divinity from Wake Forest School of Divinity. Kim and Brent have three children; Ryan, Brad, and Kate. Their favorite times are those when they are together at the beach. Brent and Kim feel blessed to have raised their children in Greensboro. My passion is for our church to fall in love with the God who created us, to grow in our faith, and that our faith lead us boldly to be the Body of Christ in our community. Kelsey Evans was born and raised in Greensboro, North Carolina. 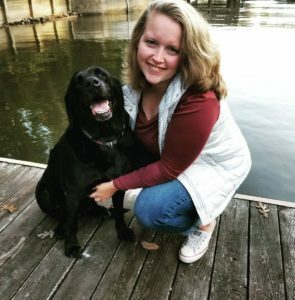 Growing up, Kelsey was an active member/youth of Westminster Presbyterian Church, singing in the church youth choir, working in the church nursery, and even being a youth adviser for the church’s Confirmation class. In 2015, she graduated from the University of North Carolina at Pembroke and currently works as a Program Director for The First Tee of the Triad, a nonprofit organization that teaches children core values and healthy habits through the game of golf. Kelsey is looking forward to working with the youth at Sedgefield Presbyterian Church and can’t wait to get involved with the ministry of the church. Sedgefield Presbyterian Church is so blessed to have volunteers who give of their time and talents for our church throughout the week in the our church office, on church grounds, and the beautification of our Sanctuary. We give thanks!